The Nigerian Christendom especially the gospel music industry was thrown into profound mourning following the sudden death of late Pastor (Mrs) Connie Madubuko, the wife of Apostle Anselm Madubuko. The man of God’s wife of 28years was reported to have died of cardiac arrest in Lagos private hospital. The tragic and shocking occurrence without any premonition has continued to evoke rain of broken emotions and tears among some top Nigerians gospel musicians whose life and ministry has been blessed by the ministry of late pastor Connie Madubuko. Despite, her being recently laid to rest at The Ikoyi Cemetery Lagos Gospel artistes with heavy hearts have not stopped sending their tributes, testimonies and condolences to the family and church members of the diseased. While lamenting and mourning the shocking as well as painful Dupe Olulana, who lamented that, the woman of God left too early said: “I regret that you have gone so early. I wish you have stayed much longer. Anyway, heaven is a place of rest for all believers. I hope to see you in heaven”, she said. “Your are living so soon remains us that sooner o0or later we will have to answer the call to give report of this assignment that has been given to us all”. Pastor Kola Olulana, Dupe’s husband and producer added. “My dearest Mummy, the news came so shocking but being convinced that you are now in the bosom of God, we cannot but praise him for his choice at this time to avoid pollution again. I recalled when I came to revival assembly. You took me as a biological daughter, I gave you a gift of honey and you prayed that my life will remain as sweet as honey. You encourage me and supported my first album “Ekwela Ihere Meem” you are indeed a mother in Israel to all that really understood you. Before I go for ministration I will call you on phone and you will pray for me even from abroad. Mummy you held a vigil with me when the doctor decided a surgery for the delivery of my baby, praying every hour till morning, assuring me that it will be successful. The six month and two weeks baby came out safely with a fibroid of the same size. Nnem oma, (good mother) we shall miss you so much we still need you here but the lord needs you more for your crown. ‘Ezigbo Nne jee nke oma’ till we meet to part no more, precious Okuchukwu (aka angelic voice), submitted. In their condolence, the gospel cross over hit group, the Midnight Crew said “The reality of Mama Connie demise was received with great empathy. We salute her courage in leadership and honor her through companionship as a partner, may her gentle soul rest in perfect peace”. Kora all -Africa Awards Nominee, Hope Davies who described Connie as a true woman of God; said Pastor Mrs Connie Madubuko was a power house besides her husband. I am so saddened by the news because you know how you think you will always have someone with you and you keep procrastinating. I was not as close as I wanted to be to her. That makes me so sad. But being a child of God, I know we will meet to part no more on the other side of the Jordan. Adieu Woman of God. “Blessed be the name of the Lord. Pastor Connie was a great woman of God; she has fought a good fight. Finished her race. See you at the bosom of our Master Jesus Christ, Good night mighty woman of valour. 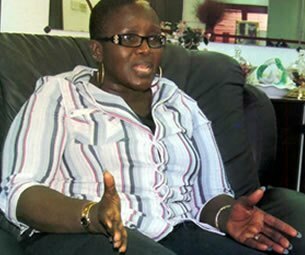 We will miss you, said gospel music nightingale, Debbie Ajayi said. In her tribute, Rosemary Chukwu submitted, “Since the second life is eternal, in think that should be the dream of all. We would have love your company here, but joy of life eternal took you. May your father whom you believe in welcome you in His Kingdom. Sleep in peace woman of God. The late Pastor Connie Madubuko is a native of Umodo in Ezi, Oshimilli local government area of delta state. She is a computer science graduate. Late Connie who would have been 52 by July 25, worked for some years before answering the pastoral call for full time ministry with her husband. They founded the Revival Assembly, with branches within Nigeria. She left behind three children.